Financial advice is so much more than simply deciding where to invest money. Central to the value Wren Sterling provides its clients is knowing when to hold an investment and understanding the implications of making a decision to change an aspect of a client’s individual plans. Taxation is key to this, and where bonds are concerned, we’ve picked out five aspects that influence our advice. We always want our clients to feel as if they’re expanding their knowledge of the products we recommend and how they combine to achieve financial objectives. This article lifts the bonnet on the process and rationale behind encashing a bond and determining whether it’s the right decision. When it’s time to cash your investment bonds, how much you get back depends on how this investment performed and your tax liability. However, care needs to be taken when encashing (withdrawing) these investments to avoid unexpected tax bills. To make the most of your investment, it can help to talk to a financial adviser before encashing – especially where large gains are made. Can I take funds from my investment bond? You can withdraw small amounts from your bond monthly or annually, or you can fully encash your policy (withdraw it all). You can withdraw up to five per cent per year of the amount invested if you’d like to avoid paying immediate tax. As any withdrawals will affect your investment, you should consult an independent adviser. Any ‘part surrenders’ will also have an effect when calculating your gains – so for this article, we’re going to focus on encashing the whole policy (or policy segment), as the basic premise is the same. Remember: Depending on the type of bond you choose, there will be differences. For example, the main difference between onshore and offshore bonds is their taxation treatment. If you are thinking of making an investment please speak to your financial adviser, as there will be more to consider than is discussed within the scope of this article, which focuses on onshore bonds. How do I calculate my overall gain? When encashing your bond, the taxable part of your investment is the overall gain. To find this, you add the surrender value (the amount your bond is worth at the time of encashment) and any previous withdrawals, then deduct the payments you have made to the bond, as well as any gains over the five per cent allowance. What is my bond worth at the chargeable event? When fully surrendering the investment bond, the ‘chargeable event’ (where any gain may result in a tax liability) is treated as having happened on the day it is surrendered – and your gain is considered as income for that tax year. Let’s use an example. Harry has a taxable income of £21,000, which is within the basic limit. Harry has decided to encash his investment bond, which has gained £7,000 in value. This means there is no additional tax to pay. Any tax liability is calculated based on the overall gain made on the investment bond – not on the amount invested. As Harry’s gain did not increase his tax liability, this was a simple calculation. However, if this gain had caused Harry’s income to increase, we would need to calculate the top-slicing relief. How will I be taxed if I am a high rate tax payer? You will only pay tax on the overall gain if you already pay high rate Income Tax, or if the gain takes your income into the high rate band. You will then pay 20 per cent or 25 per cent tax on the gain, or part of the gain. This is because an onshore bond is effectively taxed at 20 per cent at source. As an example, Lynne encashes her bond, causing a chargeable event gain of £7,000. Her other income for the same tax year is £43,500. Before adding the gain, Lynne’s taxable income is below the high rate tax limit, but with the gain, Lynne’s total income for that year will fall into the high bracket. This means that Lynne could benefit from top-slicing relief. Top-slicing relief can reduce the tax payable by those who are lifted into the high rate tax bracket. When an investment bond is encashed, the investment gain is split across the number of years the policy has been held, called ‘top-slicing’. Only the ‘slice’ of the gain will be added to your income and considered when deciding if your income is considered to lift you into the high rate bracket. Lynne has held her bond for seven years. As her overall gain is £7,000, the sliced gain is £1,000. Only this slice would contribute to her taxable income for that year, and so Lynne doesn’t move to a high tax bracket. If you have an investment bond or are considering investing in one, it’s very important that you understand the tax consequences you will face when withdrawing amounts from an investment bond (especially when larger amounts are involved or incomes are high). If you have any doubts, we recommend you seek professional advice before acting. You can book an appointment with us to discuss your investments. The value of your investments may go down as well as up and you may not get back the full amount invested. The levels, bases, and reliefs from taxation depend on the individual circumstances of the investor and may be subject to change. Varied and versatile, your adviser may discuss trusts with you when making their recommendation. They’re a useful part of an adviser’s tool box – allowing you to set aside assets for specified beneficiaries. Find out more about how they can be used, and the controls you can set. Cashflow planning allows advisers to show clients how their financial journey will unfold if it continues its current trajectory or with positive and negative impacts. Find out more about what it is and how we use it at Wren Sterling. Can I make gifts as a Power of Attorney? It’s a common question, and the answer is yes – but there are strict rules to be adhered to. Neil MacGillivray, Head Of Technical Support at James Hay explains. Trump, China, Russia, Brexit – 2019 could be another unpredictable year, but Jon Cunliffe of Charles Stanley is anticipating reasonable stock market performance and explains why in this article. What is the difference between savings and investments? Savings and investments are terms regularly used when creating financial plans. They are two unique products, so it’s important to understand the differences between them and how they work as a combination to achieve your financial goals. Tax efficient savings – Which is better, an ISA or a Pension? ISA or pension – which is better? What a question. The answer to this will depend on you, but as these products work in slightly different ways, we’ll cover a few of the advantages to these products in this article. 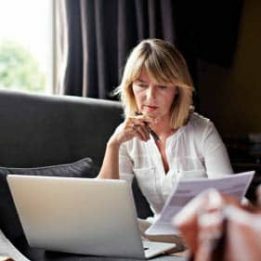 Some clients have retired when they begin to plan for IHT. For some, this may be too late, as this raises the possibility of being taxed on gifts already made as they’re more likely to die within the seven year timeframe for tax-free gifting. Find out more in this article on the essentials of gifting. Why are some people cashing in final salary pension schemes? In recent years final salary pension schemes have been phased out by employers because people are living for longer and the uncrystallised liabilities are wreaking havoc with corporate balance sheets. Robert Blumberger explains why this is happening and sounds a cautionary note for those attracted to the idea of transferring.